There is one category you cannot ignore at the International Consumer Electronics Show (CES) 2014: wearable technology. 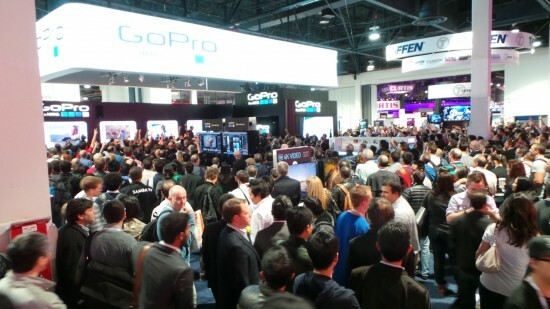 During my time here in the desert of Las Vegas, there has been a lot of on display at the show from market leader, GoPro, new entrants like Reebok – yes, the athletic gear maker was at the show – and even the speechless Tablet Man. While wearable tech is nothing new, it will become more common this year as they roll out to retail. GoPro, the leading wearable HD camera maker is creating controlled havoc on the CES show floor with a mini-halfpipe and skateboarders zipping back and forth. On top of that, they are giving away free t-shirts and creating a stir enticing many to check out their booth. The newest small, wearable camera to join the GoPro family is the GoPro Hero 3+ Black Edition. It builds off the current GoPro 3 model that is available in Canada at Future Shop. Physically, it is the same size as the present model, so good news for GoPro 3 owners looking to upgrade – you can use the same accessories you may already own. GoPro 3+ Black Edition promises to provide users with sharper, images, last longer in terms of battery and provide an unmatched HD experience from such a tiny device. Competing directly with companies like GoPro, Sony has released its own splashproof, compact, HD action camera, fittingly called the Action Cam HDR-AS100V. 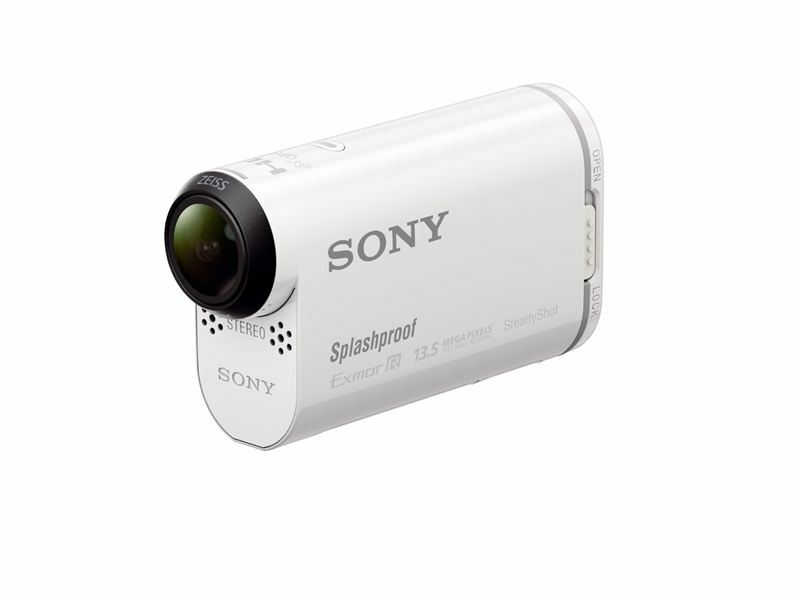 This white, mini camera features an ultrawide Zeiss Tessar lens that provides a 170-degree viewing angle and beefed up the image stabilization so it automatically adjusts for varied movements of how it may used, be it biking, walking, driving, or other creative mounting. When it comes to being creative, similar to other action cameras on the market, the Action Cam offers a variety of mounts to bring out a user’s inner creative movie director skills. 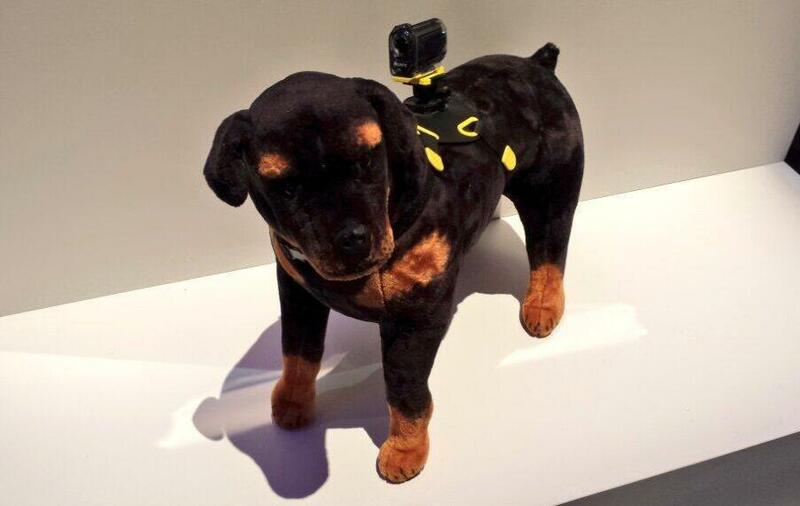 In fact, Sony has gone so far to offer a mount that can house the camera on a dog. I can think of a few hounds who would probably love to show their owners what they track down on a regular basis. A leading activity monitor Fitbit tracks a user’s steps, food intake and even sleep. There are a few varieties on the market today, including the new Force – which is worn on the wrist and has display features, including time, acting more like a smartwatch. Another popular model is the Fitbit Flex. It is a tiny device that can be worn on the wrist (it comes packaged with a wristband), neck or concealed in a pocket. The Fitbit Flex is what is stirring the most attention on the CES floor since company announced it has partnered with premium women’s fashion brand Tory Burch. Beginning this spring, Fitbit will be rolling out Tory Burch designed accessories that pair perfectly with the Flex model. There were not samples of the new line available at CES, however, rough mono-toned sketches were looped off a tablet. 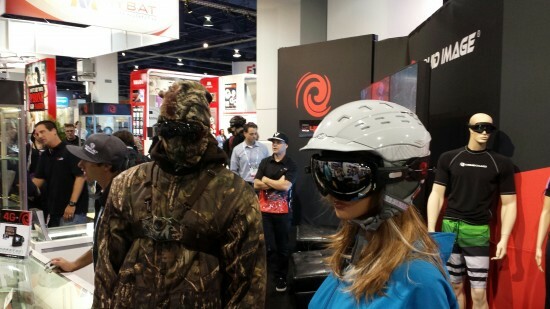 Snowboarders, skiers and even hunters alike will appreciate wearing Liquid Image’s Apex HD camera goggles for its ability to record HD video or photos. A neat concept since the idea is to capture footage exactly how it is seen by the user. 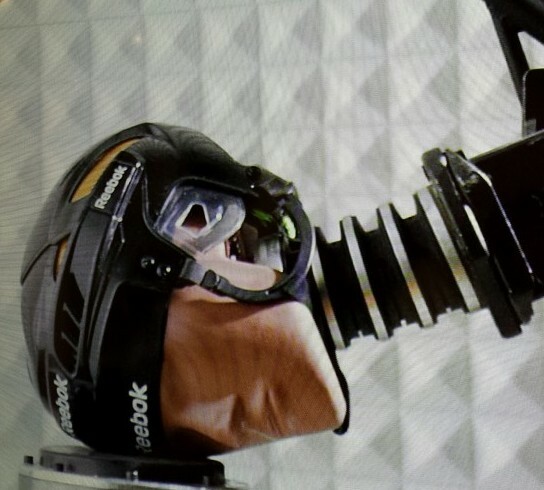 I am not too sure how many other CES’ Reebok (RBK) has attended, but one thing is for certain: they are serious about head injuries in sports. After seeing a demo of their new CHECKLIGHT product, it made me think of all our NHL hockey players who suffered from multiple concussions and impacted their careers: Sidney Crosby, the Lindros brothers, Chris Pronger, Gary Leeman, Marc Savard, the list goes on. What CHECKLIGHT aims to do is eliminate serious injuries like concussions through its helmet technology that measures the impact of getting struck on the head. There is a light notification at the rear of the device that shines yellow for a moderate blow or red from a serious one – it may not be a concussion per se, but indicates to the athlete, coaches, parents, etc. it might be a good idea to have the injury checked out and definitely have the player rest on the sidelines. Wearable technology is a growing category. Comparing what is available on the market in Canada today to the improvements shown at CES, this is clearly one area that will continue to grow into many applications of our lives.